Who is Six Five Nine? 6ix 5ive 9ine has added 2 dates to this summer’s gig lineup. 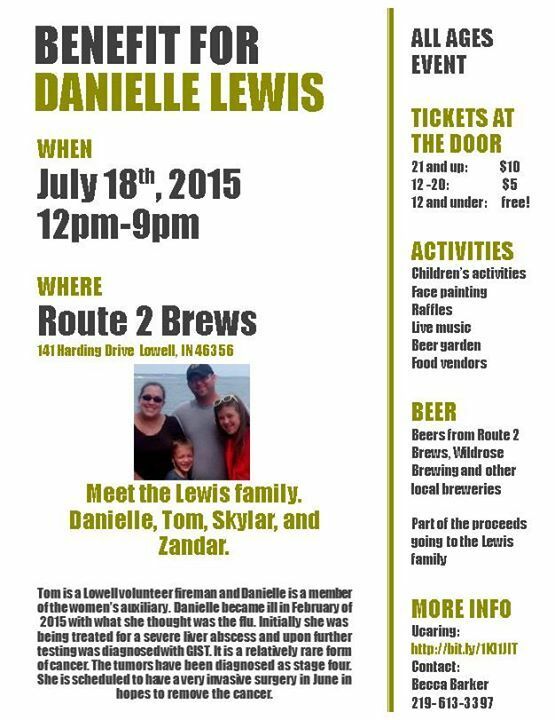 1st off is a benefit event for Danielle Lewis from Lowell. She has been diagnosed with a rare form of cancer, and her friends, family and community have organized a benefit event. All the proceeds will go to help offset the costs of her medical treatment. Tickets will be available at the door. Follow this link for more information about Danielle. See flyer image for event details. 6ix 5ive 9ine and one other band will be playing the event. We will update with the performance times and other details as they become available to us. Also added to the Summertime Schedule is a return to Michigan City to rock the house at Knuckleheads! We’ll be jamming there on Friday August 21st from 9pm to 1am. Can’t wait to see you all there! Rock on! This entry was posted in Gigs, News and tagged Benefit, Danielle Lewis, KnuckleHeads, Lowell, Michigan City, Route 2 Brews by admin. Bookmark the permalink.